The growing bonds between central Asian states and China have a human-rights cost for Uyghurs across the region, says Henryk Szadziewski. The Shanghai Cooperation Organisation (SCO) is one of those international bodies whose proclaimed ideals conceal an often sordid reality. A vivid way to illustrate the point is by looking at the experience of peoples within some of its member-states that are deprived of rights of free association and expression. These include the Uyghur people, whose homeland (which they call East Turkestan) is now the northwest province of Xinjiang in the People’s Republic of China (PRC). 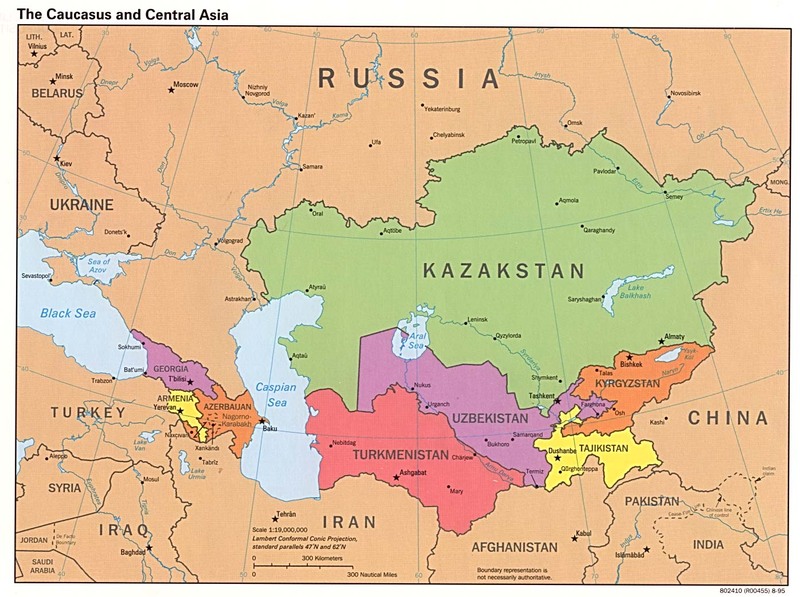 The SCO’s six member-states (China, Kazakhstan, Kyrgyzstan, Russia, Tajikistan and Uzbekistan) and four observer-states (India, Iran, Mongolia and Pakistan) convened on 15 June 2011 in Kazakhstan’s fresh-from-the-steppe capital of Astana to celebrate ten years of increasing political and economic ties. Over this decade, which coincides almost exactly with that of the global “war on terror”, the work of the organisation has included overseeing member-states cooperation on security issues; several of the joint military exercises conducted under its aegis have focused on the ostensible threat of terrorism in the central Asia region. This might be unproblematic in terms of states’ interests, were it not for the fact that the SCO member-states established a definition of “terror” that lent itself to the targeting and quelling of routine, non-violent domestic political opposition. For China, this means leveraging its influence in the SCO to curb peaceful political activism among Uyghurs in central Asia, and to chase Uyghur refugees back from their sanctuary into the PRC so that they can be subjected to China’s politicised and vengeful judicial procedures. When the Soviet Union fell in 1991 and central Asian states were abruptly faced with the reality of independence, many Uyghurs living in these states - aware of their close cultural affinities with other of the region’s peoples (especially the Turkic), and their comparable histories under Russian or Chinese rule - believed that they would be able to voice their aspirations to political reform, cultural rights and economic opportunity in East Turkestan. This reasonable assumption; however, clashed with the Realpolitik approach of the new governments. The Kyrgyzstan-based Uyghur organisation Ittipak is a good example of the arc that Uyghur activism in central Asia has traversed. Ittipak, founded in the last days of the Soviet regime, promoted Uyghur human-rights issues among an Uyghur population of almost 50,000 in Kyrgyzstan. But the increase of Chinese influence in the country (as Erica Marat writes) meant that Ittipak “struggled to balance its image between supporting the Uyghur legacy and avoiding being labeled as an extremist organization” (see Erica Marat, “Uyghur Diaspora Faces Government Pressure in Kyrgyzstan” [Jamestown Foundation, 2010]). A series of murky incidents began before the formation of the SCO with the assassination of Ittipak chairman Nigmat Bazakov in March 2000. Four alleged members of the pro-independence East Turkestan Liberation Organisation were sentenced either to death or to twenty-five years’ imprisonment for the killing, though many among the Uyghur community in Kyrgyzstan suspected a conspiracy involving Chinese officialdom; in any event, Uyghur witnesses testified at the trial that the four accused were not the perpetrators. “[On 28 July 2003] the Uyghur community held a Kurultai (Congress) of the Uyghur Society in Kyrgyzstan, where among other [issues] the election of the chair of the Uyghur organization ‘Ittipak’ took place. This..was disliked by government officials, not to speak of the Chinese Embassy, given that Chinese authorities consider ‘Ittipak’ a separatist organization. After the congress, officials from the Ministry of Interior (MVD) immediately came to the office of ‘Ittipak’ and started to control documents. While such actions by law-enforcement agencies are regular events, it seems that after holding their Congress, the Uyghurs have been having more troubles with the government. The situation is only worsened as the Kyrgyz mass media regularly publishes articles labeling Uyghurs as terrorists and extremists. On 25 August, the newspaper ‘Vecherniy Bishkek’ published an article quoting First Deputy Prime Minister and Justice Kurmanbek Osmonov underlining that a specific threat in the region was Uyghur separatists [sic] organizations” (see Rustam Mukhamedov, “Uyghurs In Kyrgyzstan Under Careful Government Supervision”, Central Asia-Caucasus Institute Analyst, 2004). The situation was no better six years on, when popular unrest and violence involving Uyghurs and Han Chinese erupted in the Xinjiang regional capital of Urumqi on 5 July 2009 and the following days (see Yitzhak Shichor, “The Uyghurs and China: lost and found nation”, 6 July 2009). The arrest in Bishkek of Ittipak head Dilmurat Akbarov and his deputy Zhamaldin Nasyrov was reported by Reuters, “after they accused China of ‘state terrorism’ at a rally” (see “Kyrgyzstan Uyghur leaders detained after protest”, RFE/RL, 10 August 2009). Uyghur refugees who fled to central Asia’s SCO states after the tensions of July 2009 have fared no better than those already there. Two individual cases offer a stark example of Chinese influence in the region, as well as of the inability or unwillingness of the international community to intervene in Uyghur refugee cases. The first involves a man called Ershidin Israel. He told Radio Free Asia about a fellow Uyghur, Shohret Tursun, who was accused by Chinese authorities of involvement in the Urumqi unrest and was beaten to death in custody. Ershidin fled on foot across the border to Kazakhstan in September 2009. The Chinese government alleged to the Kazakh authorities that Ershidin was a terrorist, and asked for his return to China. In March 2010, the UNHCR granted Ershidin “mandate refugee status”, and he was offered resettlement in Sweden. But the Kazakh authorities refused to issue Ershidin with an exit visa, and arrested him in June 2010. In a sad and (so far) unexplained denouement, the UNHCR withdrew the refugee status it had assigned, and on 30 May 2011 the Kazakhs transferred Ershidin to Chinese custody. The second case involves Huseyin Celil, who fled China in the 1990s after suffering persecution and detention in Xinjiang for his religious- and political-rights work. He was resettled in Canada in 2001, and granted Canadian citizenship in November 2005. In March 2006, Uzbek police seized Huseyin when he was visiting his wife’s family in the country and extradited him to China where he was tried on terrorism charges. Throughout his detention he was refused access to a lawyer, his family, or Canadian officials. Huseyin was eventually sentenced to life imprisonment. The post-Soviet era and the years of “war on terror” have seen the consolidation of authoritarian regimes in central Asia, punctured by episodes of domestic conflict (as in Tajikistan, Uzbekistan and Kyrgyzstan). The region’s political leaders, seeking to maintain themselves in power, find China’s mix of one-party rule and economic dynamism an attractive model. Since the establishment of the SCO, their countries’ trade with China has grown substantially (see Jia Qingguo, “The Shanghai Cooperation Organization: China’s Experiment in Multilateral Leadership” in Iwashita Akihir ed., Eager Eyes Fixed on Eurasia: Russia and its Eastern Edge [Slavic Research Center, Hokkaido University, 2007]). This developing economic relationship, underpinned by a shared ideology of power, equates for the Uyghurs to more repression. Uyghurs, and in particular refugees in central Asia, exist in the shadows of the international community and of transnational organisation such as the SCO. They need more protection by mandated international agencies from the reach of the Chinese state.